The phrase “driving under the influence” means that a criminal act has occurred by a driver operating a vehicle after ingesting (to an impairing level) some intoxicating substance. The offense is also called DWI (driving while intoxicated) or DUI (driving under the influence). The crime is so common in the United States that acronyms for drunk driving have evolved in each state as a shortcut abbreviation for the criminal offense (e.g., driving under the influence or driving while intoxicated). So, driving under alcohol influence can be criminally accused based upon proof of the impairing substance or substances in the driver’s body. Filing DUI less safe charges against a person must be based upon reasonable suspicion of the crime of impairment while driving, but no intent to drive while being drunk is required. To commit the crime of drunk driving only takes (a) the knowing, willful ingestion of the impairing substance to an impairing level and (b) the driver knowing that he or she driving. This second requirement is crucial in many “sleep driving” DUI cases, which involve a somnambulant driver unknowingly getting behind the wheel, which usually occurs from drugs, or drugs and some alcohol. First, be aware that each state’s DUI-DWI laws describe what is “driving under the influence of alcohol.” In some states, the “standard” is “impaired to any appreciable degree.” Other drunk driving laws require proof that mental or physical faculties were impaired. Some driving under the influence laws (e.g., Maine) relating to the language of the DUI law in that state, after the standard of proof of a crime to make DUI laws more stringent for repeat offenders. The crime of DUI (driving under the influence) typically requires jail time, even for first offense DUI convictions in most states. Second offense DUI laws in Georgia mandate for jail time to be imposed. However, each state can define “confinement,” and some states (e.g., Alabama) that people with several DUI’s get long-term treatment, as an alternative to incarceration. Georgia DUI law, through appellate cases, however, has ruled that jail means jail. Penalties for driving DUI can include mandatory probation, ignition interlock and DUI classes. Plus, DUI accident penalties can far exceed the usual drinking and driving penalties, because the DUI penalties for serious injury by vehicle or vehicular homicide are often not misdemeanor drunk driving penalties. When serious injury or a fatality occurs by DWI-DUI this triggers felony DUI (driving under the influence) penalties. Almost every state has some DUI felony provisions, whether called manslaughter or homicide or murder. DUI conviction penalties include fines, jail, community service, probation, possible ignition interlock installation, DUI school and loss of driving privileges. The loss of driver’s license can be TOTAL, or with restricted privileges (route restricted or work permit). To start, it means that you have been arrested, and your fingerprints and photograph have been sent to the state federal agencies that track criminal activity. You likely have had to bond out of jail, and retrieve your vehicle from a tow company impound lot. If it has not yet been made clear, the question “is a DUI a crime” is YES, and a serious offense (felony or misdemeanor). These DUI facts are merely a handful of fascinating tidbits about America’s number one crime, DUI-DWI. Each year, fewer than 1% of drinking drivers, who would be over the legal alcohol limit of 0.08 grams percent (for drivers age 21 and over who are not driving a CMV (commercial motor vehicle) are stopped by police each year. The number of driving under the influence DUI arrests has dropped in the past decade to about 60% of years where the all-time high number of arrests occurred. Most state DUI laws prohibit removal of a DWI-DUI conviction from a driver’s criminal history – – – EVER. Although most driving while intoxicated cases have a breath or blood test result, to support the crime of DUI per se (driving under the influence by being over the legal alcohol limit) drunk driving can be accused even when no breath alcohol test or DUI blood test exists. The officers use other circumstantial evidence to prove a case which lacks proof of violation of the crime of DUI over the legal limit. DUI law firm Partner William C. Head has been a Super Lawyer since 2004. Only two DUI attorneys in GA have been named to EVERY list for drunk driving lawyers in Georgia. 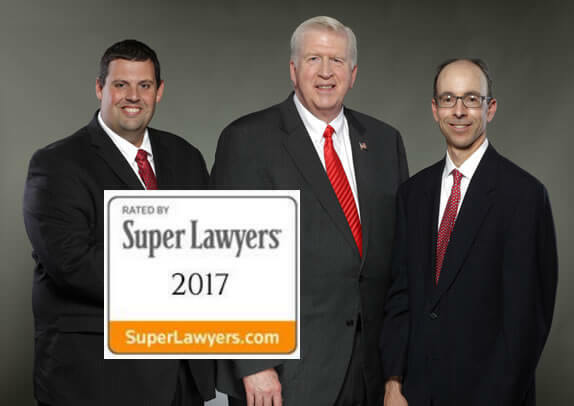 Atlanta DUI Lawyer Bubba Head, and his law partners, DUI lawyer Atlanta Larry Kohn and ex-cop and now Atlanta Criminal Defense Lawyer Cory Yager, also possess “best lawyer” credentials with Super Lawyers. All three partners are listed in the 2017 lawyer ratings. The collectively have helped over 30,000 Georgians in their darkest hour, when charged with drunk driving or other criminal offenses, felony or misdemeanor. For most of our clients, the imposition of drunk driving penalties would be devastating to their lives and their careers, so our DUI experts fight as long and as far as our clients tell us to fight for them. Call us NOW at 404-567-5515, for a FREE DUI case assessment. We also off an-in person or FaceTime FREE lawyer consultation, because we know that many citizens arrested for DUI are stressed out from the DUI arrest process, and feel that they have no chance to win. In searching for the best lawyers in America, you should never look for a low cost DUI attorney, because the best attorneys charge more. Our clients are seeking the very best DUI attorney in Atlanta or other cities in Georgia. Every year, our DUI law firm is able to secure, for our clients facing DUI, hundreds of favorable case dispositions for DUI reduced to reckless driving or other non-DUI offense. When you hire an “average,” “good,” or cheap DUI lawyer, you should expect to get your money’s worth. No more than you would select a surgeon for delicate, life-threatening surgery should you make the cost of a DUI lawyer the controlling fact. Hire an expert for your DUI in Georgia.